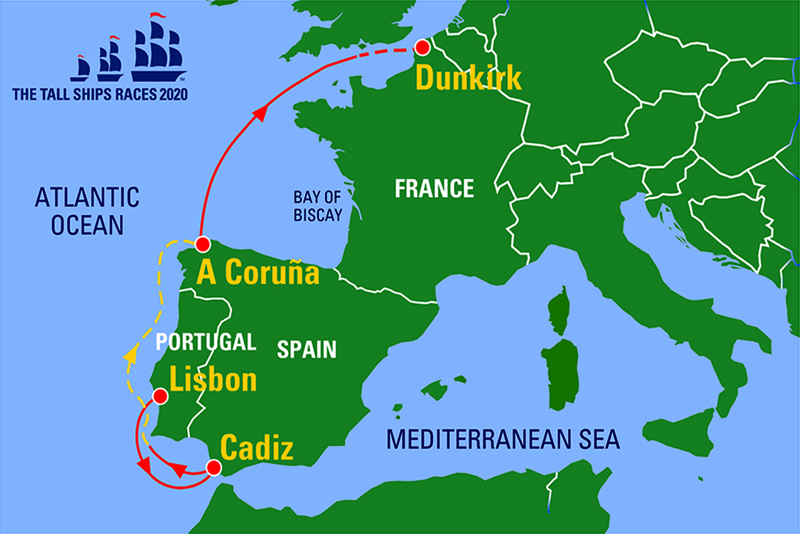 The Tall Ships Races 2020 Route Map. 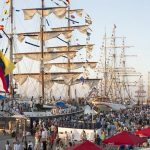 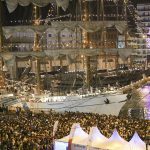 Huge crowds enjoying the final night of the Tall Ships Races 2016's stop in Cádiz. 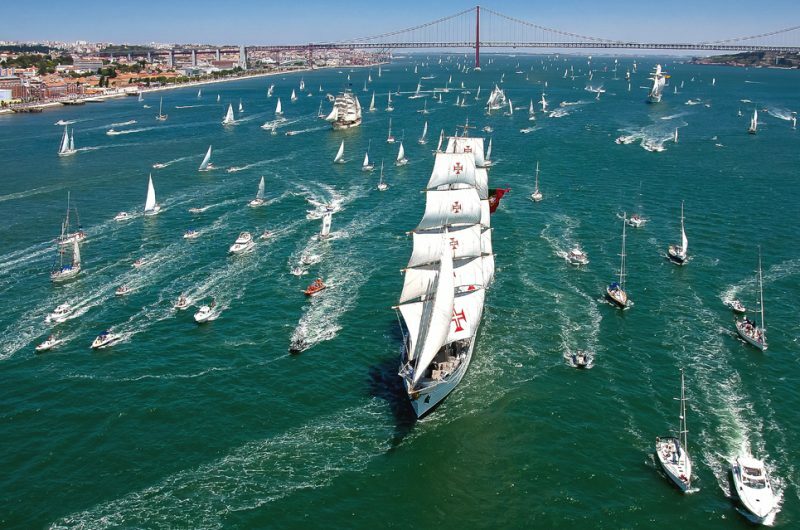 Parade of Sail in Lisbon. 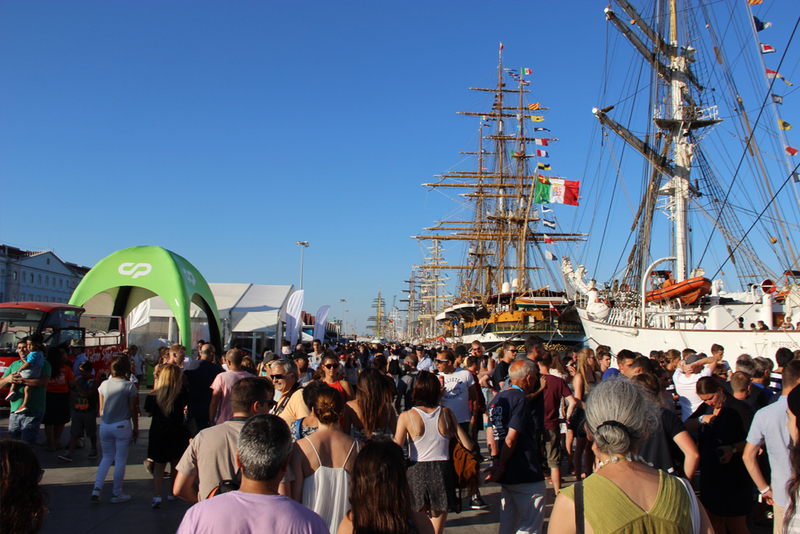 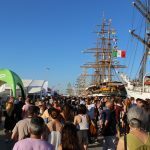 Crowds visiting the Tall Ships fleet during the 2016 races in Cádiz. 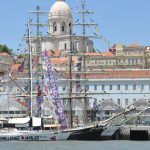 Visitors in Lisbon, Tall Ships Races 2016. 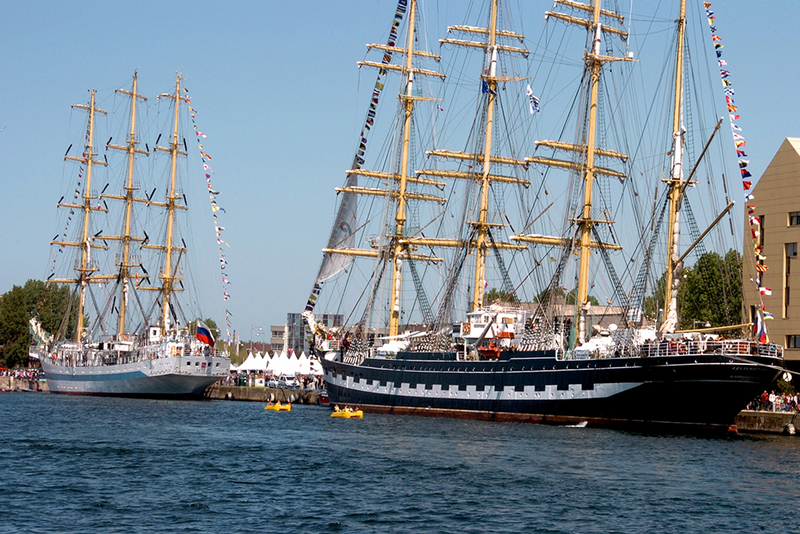 Mir (Russia) and Kruzenshtern (Russia) berthed in Dunkirk. 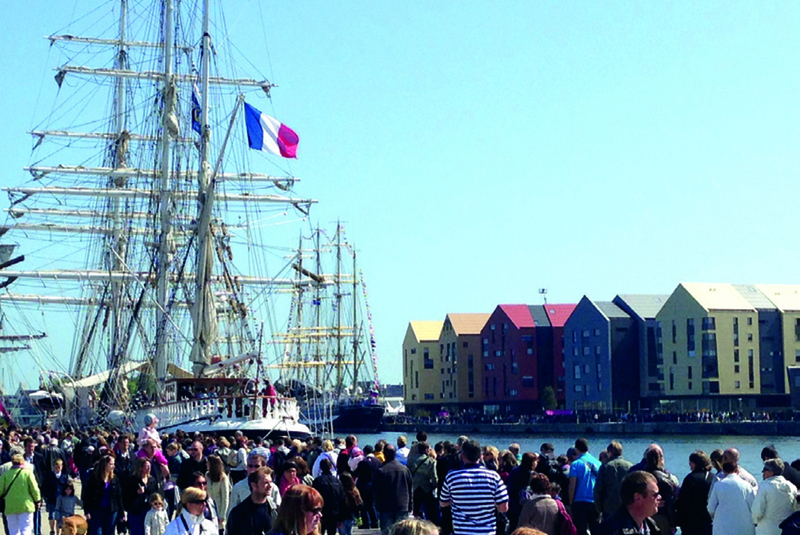 Crowds visit Dunkirk to witness the spectacular Tall Ships. 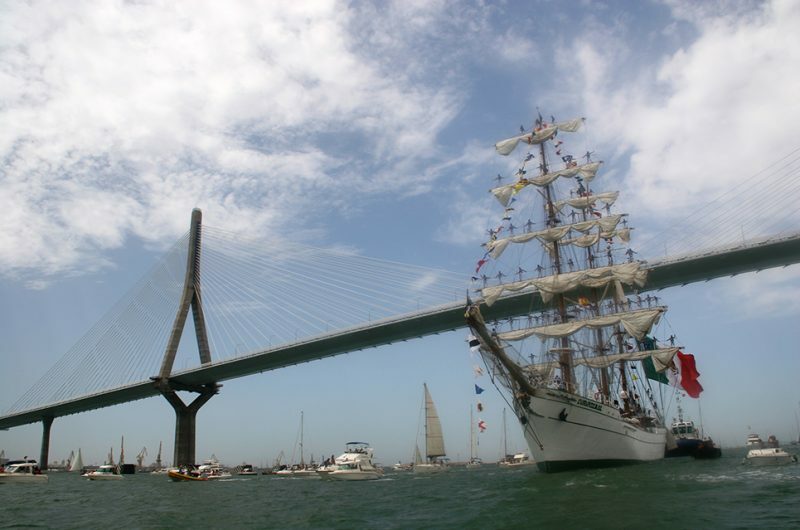 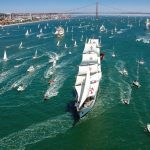 The event will be the perfect mixture of old friends and new horizons with Lisbon, Portugal, Cádiz, Spain, and A Coruña, Spain boasting a total of 22 Tall Ships Races and Regattas between them and Dunkirk, France, hosting for the first time. 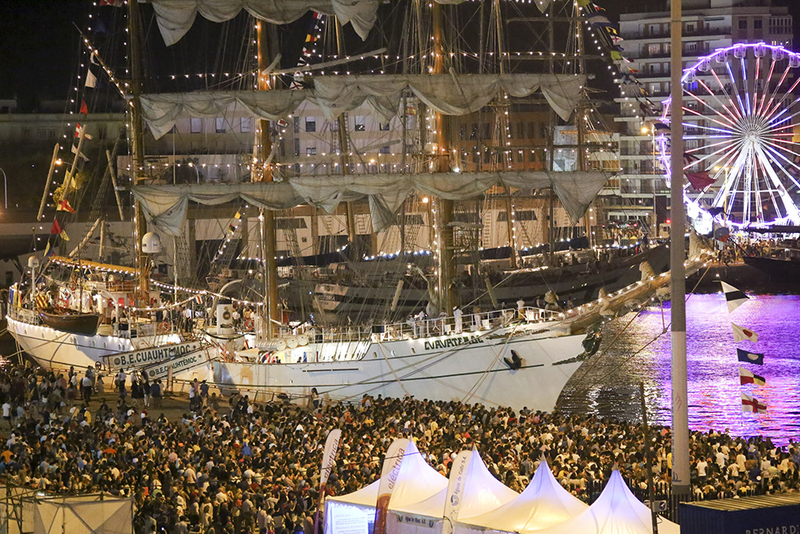 As you might expect, they’re all eager to welcome the international fleet to their shores. 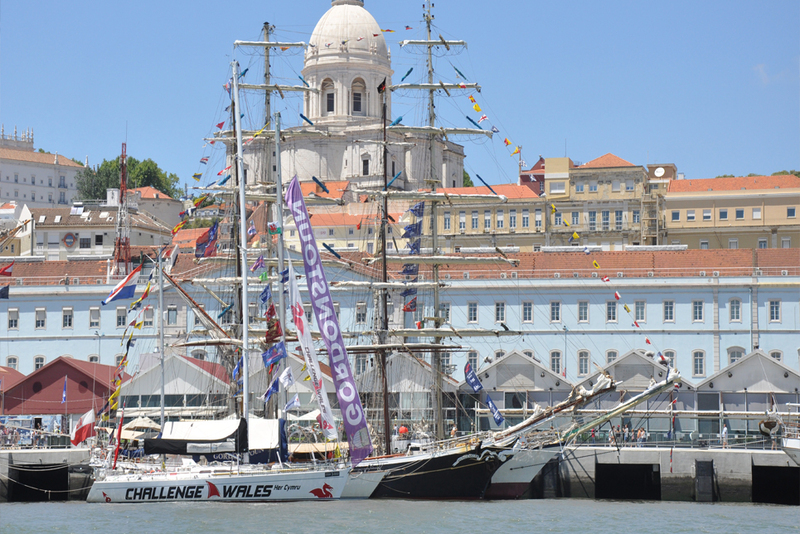 “Race 1 from Lisbon, Portugal, to Cádiz, Spain, is 250 nautical miles around Cape St Vincent with the prevailing winds. Race 2 will be a 120 mile leg from Cádiz to a finish line off the 15th century historic nautical school of Sagres which should offer some interesting strategic racing along the Algarve coast. 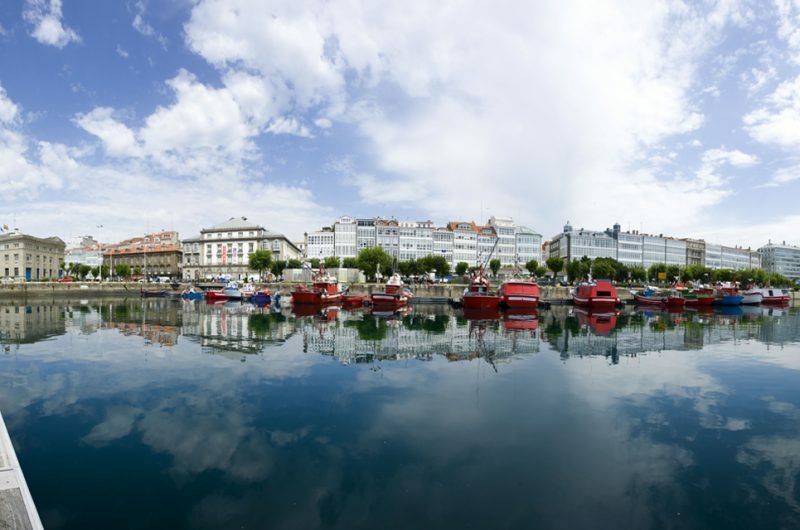 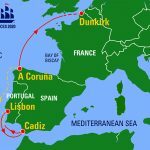 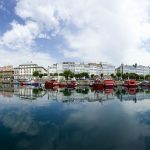 “The 400 mile cruise-in-company onto A Coruña, Spain, will take in some of the most beautiful ports in Portugal and Spain where there will be a good opportunity for the crews to relax and meet up on an informal basis. 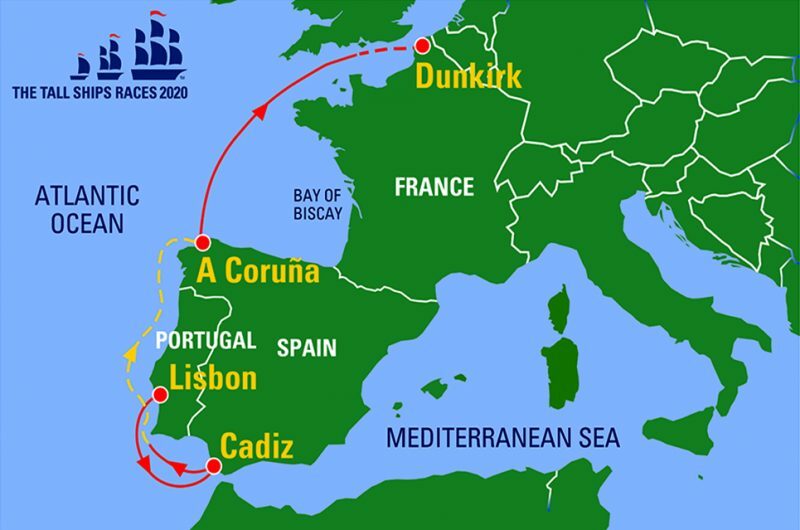 Race 3 will be the longest leg, and potentially most challenging, and will be 660 miles from A Coruña to Dunkirk, France, across the Bay of Biscay. 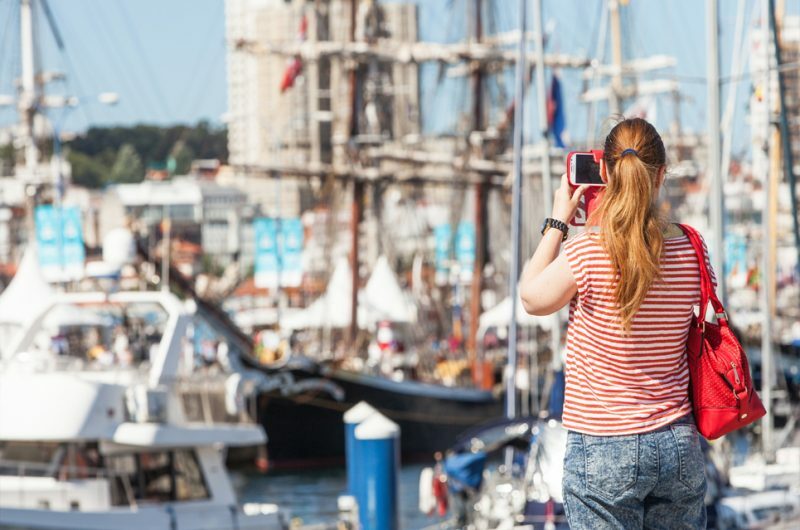 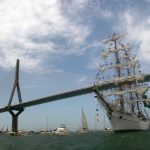 Spirited Lisbon welcomes the fleet of the Tall Ships Races for the eighth time in 2020 and will provide the perfect backdrop to open the festivities. 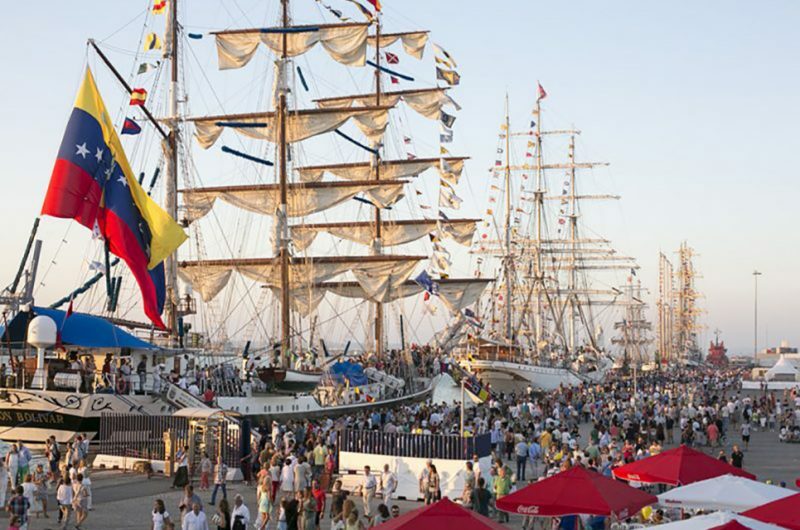 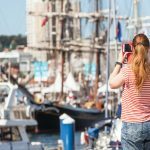 The Tall Ships Races 2020 will mark the first time that Dunkirk has hosted a Tall Ships event, and we can’t wait to visit this coastal Commune which brings together history, natural beauty and contemporary art.